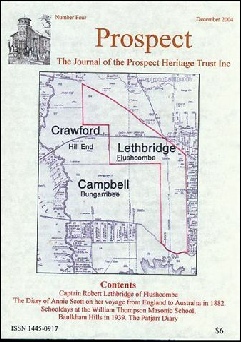 The Prospect Heritage Trust Inc. 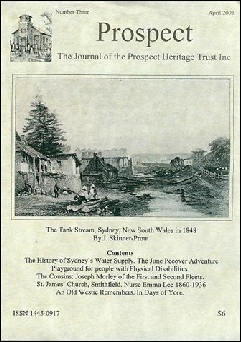 This Education Pack has proved to be very useful to secondary and tertiary students. 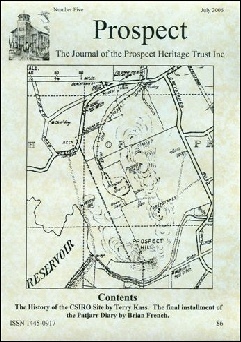 It is also sought after by people with a general interest in the history of the Prospect area. 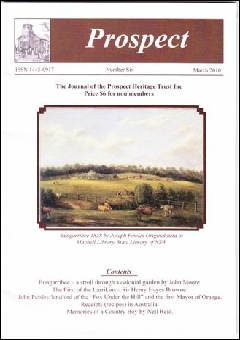 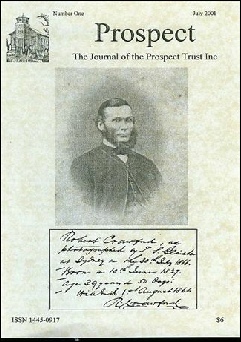 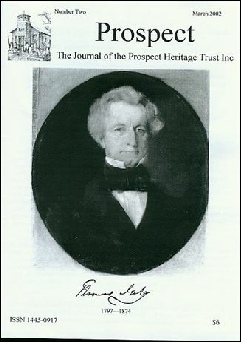 Prospect, the Journal of The Prospect Heritage Trust Inc. 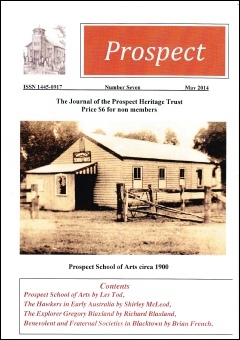 Prospect, the Journal of The Prospect Trust Inc.
© Prospect Heritage Trust Inc.